There were activities held in Chicago, Illinois; St. Louis and Kansas City, Missouri; and Atlanta Georgia. There was also an event held in Cancun during the Mark Travel Corporation Summit, a forum focused on US travel agents. 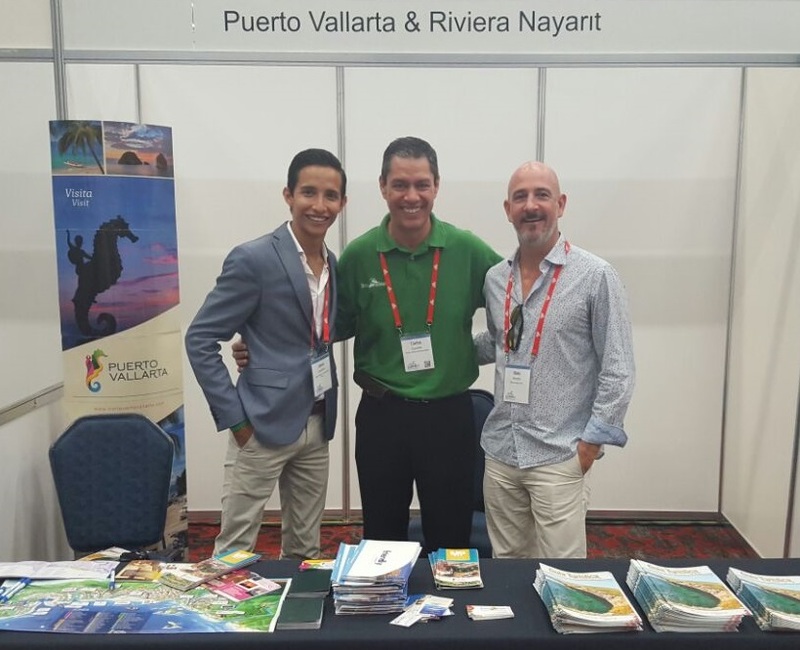 The Riviera Nayarit was heavily promoted this past September in order to bring in more tourists from the United States during the upcoming winter season; the promotions team participated in the events held by the top three US wholesalers with the most sales to the region. The work took place in accordance with the annual joint promotional strategy consolidated by the Riviera Nayarit Convention and Visitors Bureau (CVB) and the Puerto Vallarta Tourism Trust. In the end over 3,000 travel agents received updates and training. Around 20 hotels from each destination also participated in the events. “The agents confirmed they already had sales to the region for the upcoming season, not only for family travel but also weddings and large groups. There’s no doubt the increase in frequencies and new airlift as well as the constant work by the joint promotional campaign will help us enjoy an epic winter season,” commented Marc Murphy, Managing Director of the Riviera Nayarit CVB. In chronological order, there were two Apple Vacations events held in Chicago that included 900 travel agents and another in St. Louis for 350 agents. This was followed by a seminar for 50 agents in Kansas City. Both destinations held presentations in Atlanta during the most important event of the year for Delta Vacations, where they worked with over 1,000 travel agents. Finally, at The Mark Travel Corporation Summit in Cancun, the teams had contact with over 600 travel agents from the United States, most of them belonging to the exclusive 500 Club, the cream of the crop of sales agents for Funjet Vacations.